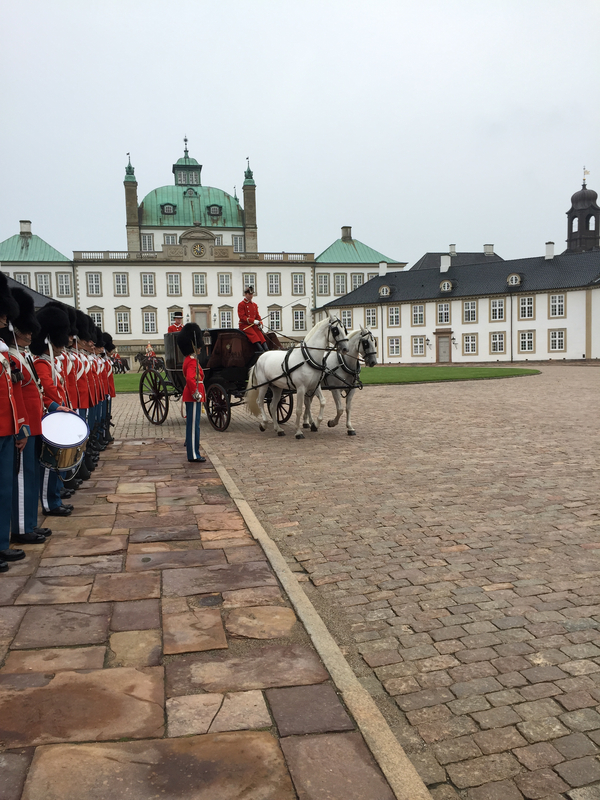 This morning at Fredensborg Slot, five new ambassadors to Denmark were officially welcomed by Her Majesty the Queen, Margrethe II. Among them was South Africa’s Zindzi Mandela, the daughter of Nelson and Winnie, who arrived in Denmark in the summer. 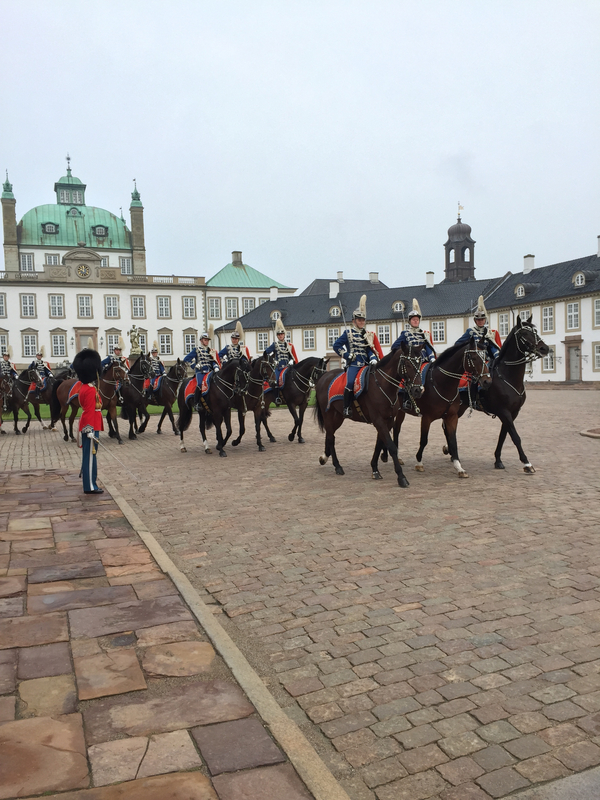 Each ambassador was driven by horse-drawn carriage from Fredensborg station to the palace where they were received by HM the Queen. Members of the Guard Hussar Regiment Mounted Squadron escorted the dignitaries on their short journey and it looked spectacular. I was particularly pleased to see that women made up the majority of the squadron. Despite the pomp and circumstance, this was a very Danish affair. Few Danes gathered to watch this tradition – it was mostly tourists. But we were able to get up very close to the procession, with no barriers in place. I can’t tell you what was discussed inside the palace, but from each ambassador’s smiling face as he/she left, it was clearly a happy experience. 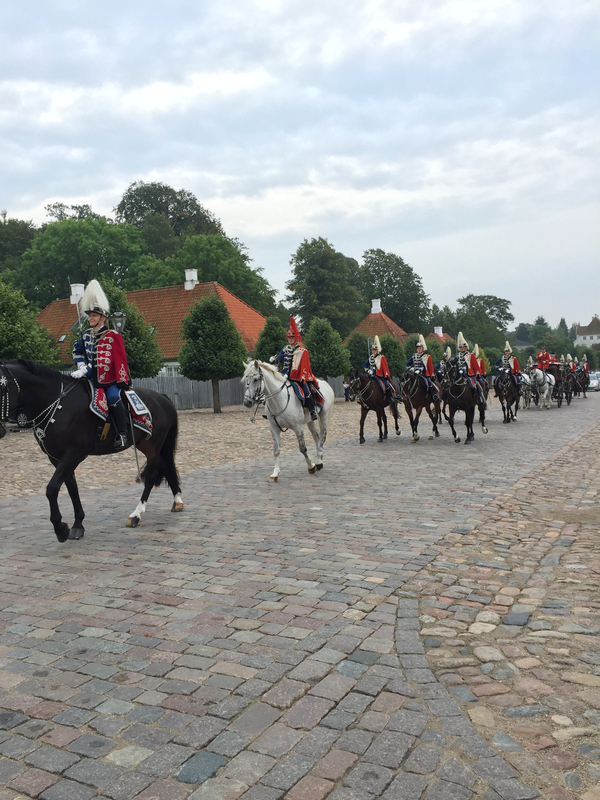 The Danes love their monarch and I expect these ambassadors were equally impressed. This was outstanding welcoming for our South Africa ambassador to dennmark and the daughter of the great world icon NELSON ROLIHLAHLA MANDELA and the mother of the nation of south Africa WINNIE MADIKIZELA MANDELA we are so proud to follow you as a leader VIVA South AFRICA VIVA Amandla Awethu .